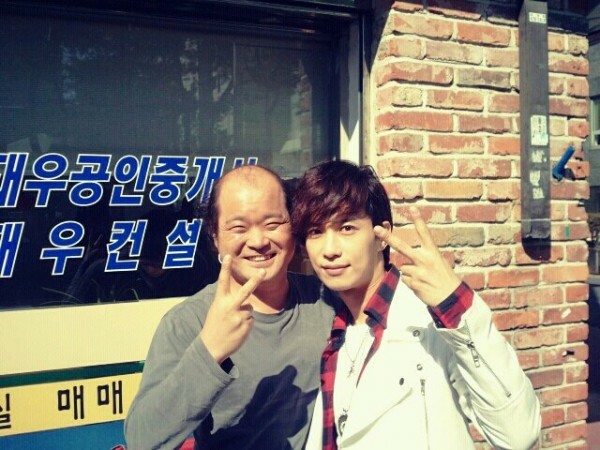 Kim Won Joon made public a commemorative photo shot together with Kim Sang Ho on the eve of filming for the drama. On March 11th, 2012, Kim Won Jong tweeted on his Twitter account, “Unforgettable first day of filming, commemorative photo with brother Sang Ho! Tonight, Yoon Bin who is lavish and ride on high horse in KBS drama My Husband Got a Family (You Who Rolled In Unexpectedly) debuts, please pay attention. That’s right, shot at first scene in the morning,” and he uploaded a photo. In the photo, Kim Won Joon and Kim Sang Ho stood side by side, thumbed up and showed a bright smile. Kim Won Joon who is starring in KBS2 weekend drama My Husband Got a Family plays the role of shining star Yoon Bin who used to be popular. Kim Sang Ho plays the role of Bang Jung Bae, the brother-in-law of Bang Gwi Nam (played by Yoo Joon Sang) who works in real estate agency. Netizens commented on the photos, “Must watch as Yoon Bin debuts,” “Looking forward to the acting of Kim Won Joon, hope to see it in the next few week,” “The two persons looked happy,” “My Husband Got a Family is very interesting, very curious on the future plot” and so on.